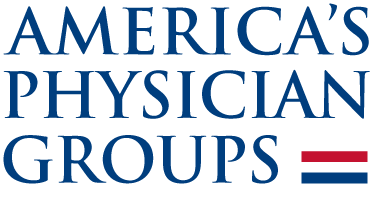 Registration for the America's Physician Groups Annual Conference 2019 is now available. You may register by selecting the Register button above or at the bottom right corner of your browser window. Please note that we have discontinued the use of registration forms. All registrations must be submitted online. Please contact us if you need assistance. Click here to download the Conference brochure for event details. Please note that online registration has been extended to April 9, 2019 for new registrations, modifications and substitutions. Cancellations are unavailable after April 4. Registration assistance will be available onsite during Registration Check-in beginning Thursday, April 11 at 3 pm. Please contact APG Conferences at conferences@apg.org, or call 213.624.2274. Please contact Cassandra Perkins at cperkins@apg.org, or call 213.239.5040. We welcome all adult Conference registrants at the APG Bowling Tournament, Thursday, April 11, 11:00 am–2:00 pm, East Village Tavern and Bowl. $85 per player, including fees, shoes, and refreshments; limited to first 80 players signed up. Registration opens at 10:00 am. No tournament refunds are available after April 4, 2019, but player substitutions are accepted. Register for the APG Annual Conference. Once Colloquium Registration opens, you'll be emailed a special Colloquium registration link and discount code. *The Colloquium dual discount is available only to non-complimentary, full conference attendees. Discount is valid only if attendee remains registered for both events.